Aine believes herself to be a regular teenager in 1930s Missouri, but when a blue-eyed monster named Biblos attacks, she discovers that the reclusive woman raising her isn't really her grandmother and that she's been living inside a book for the past five years. With her blind brother, Spenser, she flees the pages of the novel she's called home, one terrifying step ahead of Biblos' black magic. Her only chance at survival lies in beating him to the three objects that he desires more than life. 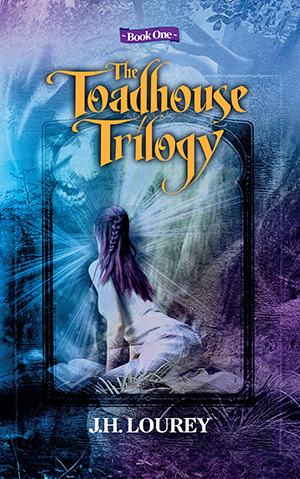 "Riveting reading with a fascinating concept, The Toadhouse Trilogy is not to be missed." "Lourey never slackens the pace!"